Boat is located in Key Biscayne,Fl.Please contact the owner @ 954-668-3847..All new rigging Wing keel, Air conditioned, Mase 2.5KW GENERATOR, 12 volt refrigeration, LPG two burner stove and oven, wing seats, doors with windows not slats, Bimini top. Good condition overall but needs bottom paint job. 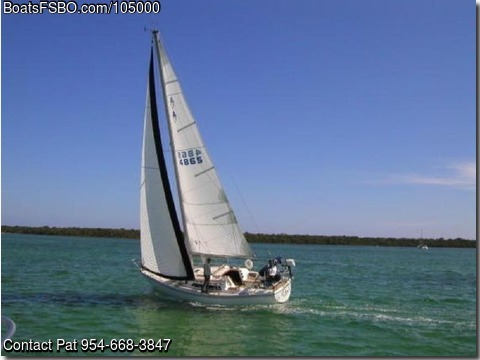 Price reduced from 25,000 for a quick sale Great boat for sailing in Florida, the Keys or the Islands- low draft and keep cool with air conditioning at anchor or at the dock.